Mason Realty is a small, family owned Real Estate practice based in Albany WA. We pride ourselves on excellence in marketing, attention to detail, and a highly innovative approach. Our aim is to promote South Coast properties to a broader audience, thereby seeking to achieve premium prices for sellers and introduce discerning buyers to the exciting real estate opportunities that exist in our beautiful part of the world. Mason Realty covers a large geographic area – radiating out from Albany. We relish the opportunity to market interesting South Coast property and to represent sellers who see value in our approach. We believe it is extremely important to tell the “story” of each property and the hidden gems of each location. Strong relationships forged over nearly two decades in real estate, allows us access to the best service providers in the industry – from our administrative team at Admin HQ through to photographers, videographers, graphic designers, printers, publishers and on-line marketing experts. This, combined with the latest technology, offers you the best property marketing and sales support. We believe the special properties of Albany and surrounds are often overlooked, and need a different approach with broader thinking. Mason Realty has the experience and expertise in all methods of sale and will provide qualified advice. Pitching your property correctly and marketing to a wider audience is our guiding philosophy. Rob Mason began his real estate sales career in 1999. He moved to Albany with his family in 2013 after owning a successful real estate business in Scarborough. 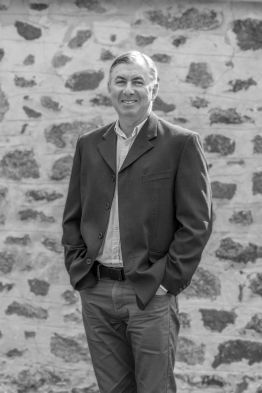 He is one of the most awarded auctioneers in Western Australia and has experience in all aspects of the property business. Rob’s extensive network of hundreds of experienced and influential real estate agents in the metropolitan area provides opportunities to work in a cooperative manner to promote South Coast properties to buyers from Perth and elsewhere who may not necessarily be considering a purchase in our region. Rob and his family have made Albany home and enjoy all aspects of South Coast life, particularly the beaches as Rob and his family are keen surfers. Rob is heavily involved at a local level as part of the combined Albany Surf Life Saving & Albany Sea Rescue Team attending incidents along the South Coast, he is President of the Albany Surf Life Saving Club, an active member of the Lower Kalgan Community Association, and regularly donates his time and skill as auctioneer for many charity and fundraising events in and around Albany. Since commencing her career in the Real Estate industry in 2006, Louise D’Addario has developed a multitude of skills and experience. Louise has filled an amazing variety of roles in that time; from sales consultant, buyers manager, client services manager, business development manager and general manager of a 30 strong team in a successful real estate agency in the Pilbara. Louise holds a full Real Estate Licence and Triennial Certificate, and brings considerable expertise and knowledge to Mason Realty. 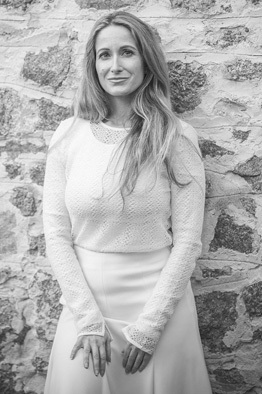 She fulfils the roles of client support for the agency as well as listing and selling property. Louise prides herself on her communication skills, abilities and negotiation skills developed from years of working with some of Perth's top real estate producers. Her own network of real estate colleagues in Perth and elsewhere adds to, and in many cases, merges with Rob’s; adding further to the reach of the Mason Realty team. From the exclusive Western Suburbs of Perth, to the dusty Pilbara, and now back to her home town of Albany on the South Coast of WA, Louise D’Addario looks forward to achieving you an exceptional result that exceeds your expectations. 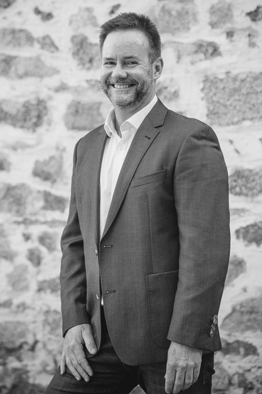 Lee joins Mason Realty with a wealth of experience dating back to 2001 where he began his real estate career in the Western Suburbs of Perth working with accomplished, high profile agents. He has maintained these connections which is a benefit to those moving between Perth and the South Coast. Lee is a natural communicator with a "can do" attitude. He is honest and approachable with a serious talent for negotiation. Lee loves the South Coast and particularly Denmark – it’s lifestyle, it’s people and the community. Drawn to Denmark for it’s relaxed coastal location and some of the most pristine surf beaches on the planet. Lee and his family are firmly entrenched in the Denmark lifestyle; all being active members of the Denmark Surf Life Saving Club (where Lee is Club Captain), as well as many other sporting associations. Lee looks forward to assisting you when you are considering a real estate move in Denmark. After receiving two appraisals for my mother’s house we decided to ask Mason Realty for a third. The response was extremely quick and professional, also being very aware that this was an emotional time for the family. The proposed appraisal certainly came in at an amount that we were all very happy with. The property sold within the first week of being listed, the clear communication between all parties involved made for a very positive and comfortable sale of our mothers property. I would highly recommend Mason Realty in regard selling or buying a property in and around the Albany area. We would like to thank you and Mason Realty for all the help and advice,also for the professional way that you do everything. We would certainly recommend you to anybody looking for an agent. Once again Rob thank you very much. I would like to send a huge thanks to you and Louise for the stress free sale of our home! Having trust and confidence in Mason Realty, that you would be able to firstly, give us an honest and realistic appraisal and then, the best way to market our home was very important to me and the reason you received our business. The whole process was extremely smooth with absolutely no stress and a very pleasing outcome. The communication and updates you provided were beyond my expectations. Mason Realty comes with my highest recommendation for a professional and personal service . Thank you so much! Rob, Louise and the Mason Realty Team are very professional, friendly and helpful. They worked hard and did an excellent job presenting our property, which resulted in its sale quickly and for a price that met our expectations. I highly recommend Rob and Mason Realty and they would be the only people I would use to sell property in the area. Rob did a fantastic job helping me with my recent sale. He was diligent, he always followed up and offered a standard of personalised service that I had not enjoyed with a real estate agent previously. When it came to pointy end of things, he worked hard, negotiating long and tirelessly with the buyer to achieve a sale that I was happy with. I am very grateful for all that he did to sell my property for me. Not all real estate agents are created equal, Rob Mason and his team are a cut above the pack. Selling a property remotely from the other side of Australia, Rob was tireless in his communication, advice and efforts. An awkward property in a cool market, sold in a reasonable time frame for the asking price. Well done Rob and team we will definitely recommend you to anyone looking to buy or sell in the Great Southern. Thank you for getting my house sold so fast and making the experience so pleasant. The whole process was handled perfectly. Your openess and honesty stood out from day one, when you say you will do something, you do it. I don't intend moving again but will recommend you to everyone I know who is thinking of selling in the future. You are an asset to the world of real estate here in Albany. Fabulous service from start to finish, I am so impressed, many thanks. We are very happy with the level of service Rob provided. His willingness to communicate and negotiate was first class both when we sold and purchased. Rob is friendly and professional and well complemented by his team. We would happily recommend Mason Realty. We appreciated Rob's honesty and integrity throughout the process. He continued to work tirelessly to ensure we got the price we were after for our home. His marketing package was fantastic and his continual feedback kept us abreast of each home open. Will definitely use Mason Realty for our next venture. Thank you, the service we received from Mason Realty was exceptional. The constant hard work and dedication to get our property sold was second to none. Your communication, honesty and advice was much appreciated and you were always easy to deal with. We would certainly recommend you highly to anyone thinking of buying or selling a property. Transparent, realistic, communicative and committed - not much more you can ask for! The sale of our business was a process made as smooth as possible by Mason Realty. Rob's experience, connections and approach were outstanding. Highly recommended. After moving to Albany and unsuccessfully tring to find a property to buy, upon recommendation we approached Rob to help us with buying a property in Little Grove. We are so thankful for that introduction as he was professional, friendly and he listened to our requirements to help us find and buy the perfect property. Rob made the whole process run smoothly and to time, dealing with the listing agent on our behalf. I would highly recommend Rob to anyone looking to buy or sell real estate and would enlist his services again without hesitation. Being relative newcomers to Albany, we engaged Rob Mason to assist in finding a suitable block / house to buy. He was generous with his time and gave us what turned out to be good advice. Once we narrowed down the area of interest, Rob was professional and unobtrusive in approaching owners who might be interested in selling. We have been successful with a purchase and this is based on high levels of local knowledge from Rob. Based on this experience, we have engaged Rob to sell our property in Denmark. After searching for many years for a property in Albany we made a successful offer and were very fortunate to have Rob as the agent. We would like to say that he has been the warmest, most thorough and most professional agent with whom we have ever dealt. He has always been accessible, helpful and ensured that both the seller’s and our wishes were accommodated. He is a wonderful agent and a very genuine human being. We very much recommend him. Having just settled into my new abode, I have had time to reflect on the past few weeks in the tumult of selling my Albany home in such a difficult market which pertains at this time. During this process I have been most impressed with the professional approach of yourself and the Mason Realty Team during what for me personally was a very difficult and stressful period. Much appreciated also was the help and advice, which with your experience, proved extremely valuable not only in the prompt sale but also in the search of a replacement property - achieving a successful result all round. Already, I have recommended your business to several friends around Albany and am happy to continue to do so. I hope you will accept my simple but sincere thank you.